It’s not only trash that threatens wildlife on our beach during the Fourth of July festivities. Nesting birds and sea turtles are startled and disturbed by loud sounds and bright flashes of light. This is why environmentally conscious locals hope that, instead of setting off their own illegal fireworks, the public will take advantage of the well-organized professional fireworks displays that will be presented at the Chiles Group’s Sand Bar and Beach House restaurants. A demonstration of love for our clean, white beach took place on Saturday, June 26, at noon, when people joined a national demonstration against offshore oil drilling by joining hands on the beach. Petitions were signed calling for a legislative ban of offshore drilling in Florida waters. Meanwhile, locals mourned the imminent transfer of their much-loved local public beach concessions to United Parks Service. 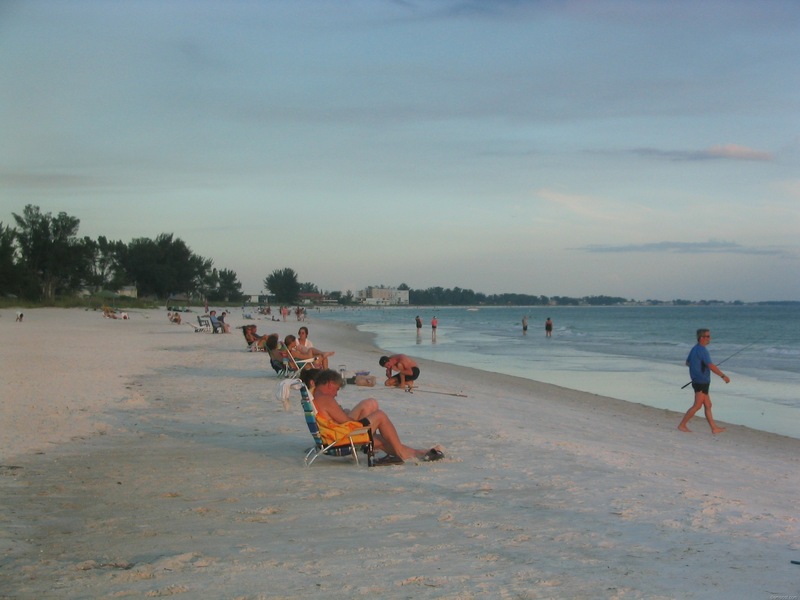 Under the new ownership, which begins on July 21, the restaurant and shop facilities at Manatee Public Beach will receive a “make over” and capital “improvements” … despite the fact that improvements were made not too long ago, and the current facility has satisfied many happy customers for years. 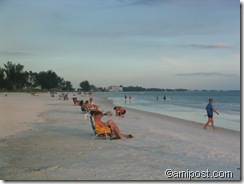 The fact is, locals do not want their simple beach facility turned into a slick operation. It seems the decisions makers in Manatee County have put money before their obligation to serve their constituents’ wishes, as they accepted UPS because it offered the county the highest compensation plan and lots of fancy touches such as a roaming beach cart with refreshments. All this goes to show there’s more than one way to damage a near-perfect beach experience. The modernization of the island’s beloved beach restaurant is a done deal. Let’s hope the bigger threat of oil on our beaches is not a done deal, and that the Obama administration finally figures out how to speed up a successful end to this disaster. Meanwhile, there is every reason to think this coming July Fourth weekend on Anna Maria Island will be as good as it gets.